After his major narrative forays in The Hospital Suite and King-Cat #75's epic ode to Maisie Kukoc, John P. is in a reflective mode here. 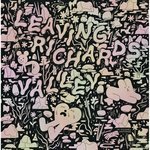 Small snippets of walks, dreams, memories and recollections of comics-making are mixed with seasonal thoughts and interspersed with an epic selection of letters-to-the-editor, many of which specifically reference places, locations and/or experiences shared with and/or related to John P.'s own life. 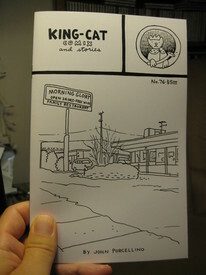 Taken together these ingredients provide readers with a sense of the community that has built up around King-Cat over the quarter-century of it's existence, with John's life, art and work at it's center.